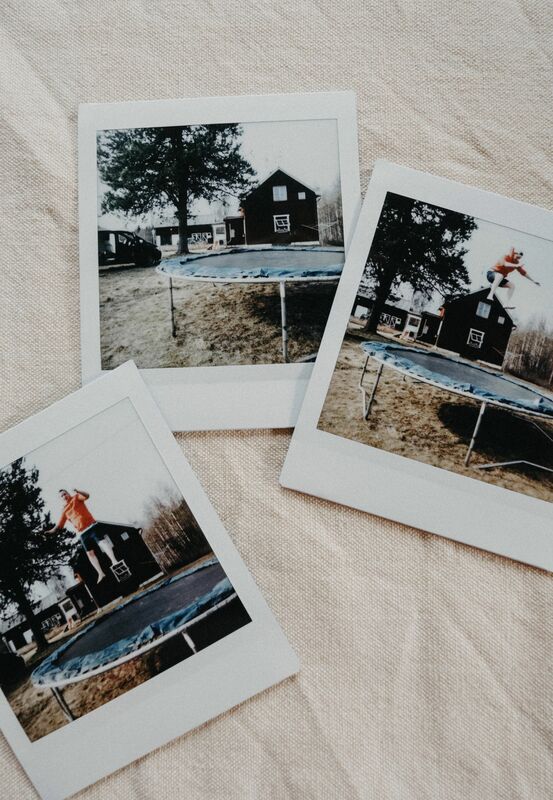 Growing up my little brother and I loooved our trampoline that we got from our parents and I have spent countless hours with friends on it from when I was little to my teenage years! It was a big part of my childhood. However I have not used it in years now, I believe I was 14 or 15 last! But today my parents brought it by on their way up to check on their cabin. We put it up together and then Jake and I tried it! I have not laughed this hard in a long time, and the weather was amazing! Much needed fun, and now I can't wait for summer. Much needed fun togeher in the sun!